Last week, we discovered how much we all love an anthropomorphised otter standing next to a pun. 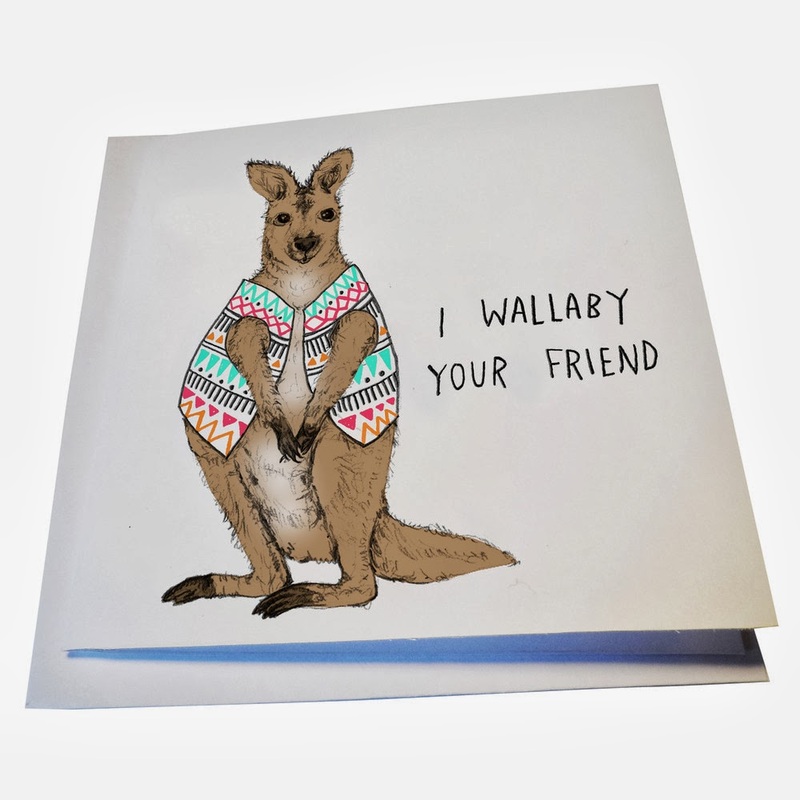 This week, I bring you not just more otter puns, but weasel, moose and wallaby jokes too. I know, I spoil you. 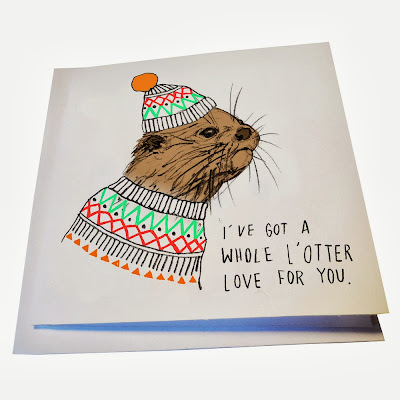 It's all thanks to Charlotte Wainwright Design, run by a designer/illustrator who appreciates the inherent comedy in putting a bobble hat on a mammal. Even better: all these cards are just £2, and are 200 times more fun than anything in Paperchase. 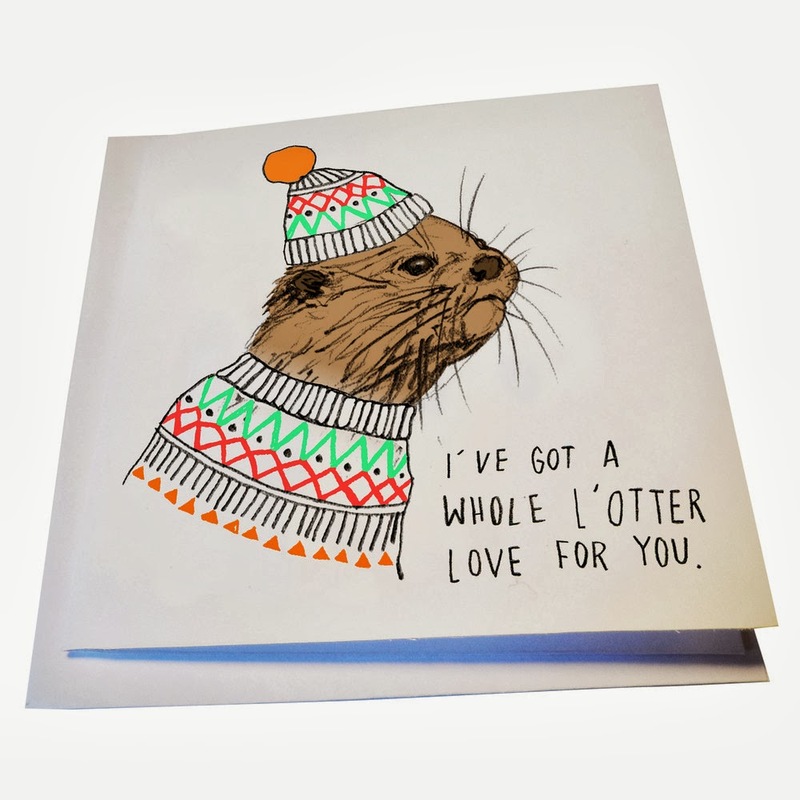 I love how the otter's slightly mardy face doesn't tie up with his 'whole l'otter love' message, but maybe he's just got Bitchy Resting Face. I bet people tell him to cheer up all the time, while he tries desperately to look more "fun" by wearing a jaunty hat. 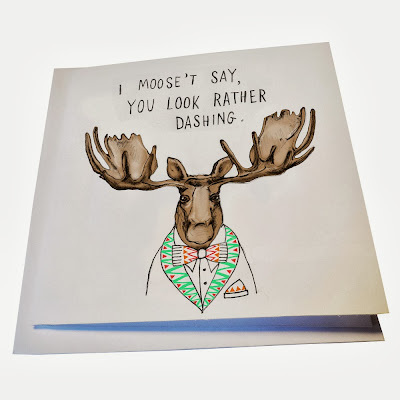 Having had to search for a leaving card for a colleague recently, I can tell you their tone is either (a) wildly ecstatic or (b) so gloomy you'd think they were being excommunicated from all fun times ever again. 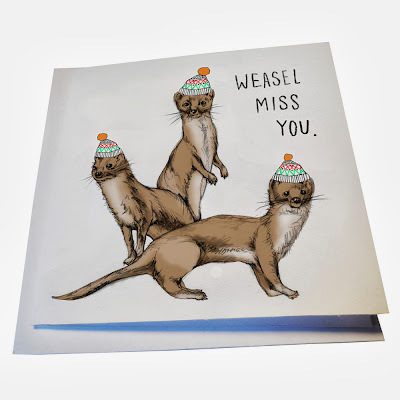 This trio of weasels combine sad faces with a quip and some hats to find the perfect medium. "We're sad that the only person who can fix the photocopier is leaving," is the message, "but comedy accessories will help us all move on." 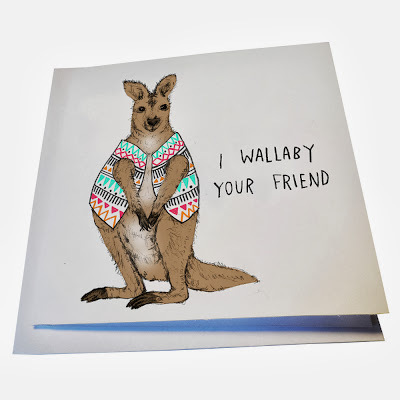 'I Wallaby Your Friend' is a dozen times nicer than a Facebook friend request. That guy's working the waistcoat too. All cards are available as prints too, starting at £10. Go and rummage around Charlotte's whole shop and let us know what catches your eye. When someone told me that Benedict Cumberbatch looked like an otter, I started following a Facebook page called The Daily Otter to see whether I fancy them. In a way ... I think I might. Enjoy the moose - he looks like he deserves it. Also, yes to the good cards! WEASELS IN HATS! I love them.